In today’s increasingly casual world, a man might not give much thought to his suit game. He might tuck one away for formal events, or manage a rotation of three to four similar options for the workplace. But there really is no such thing as an all-purpose suit. The key to wearing this timeless item well is to have a variety—the right variety—on hand. 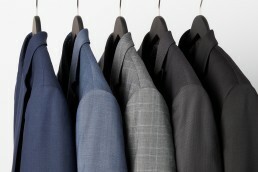 Here are five staples that will maximize efficiency and make you prepared for just about any sartorial situation. 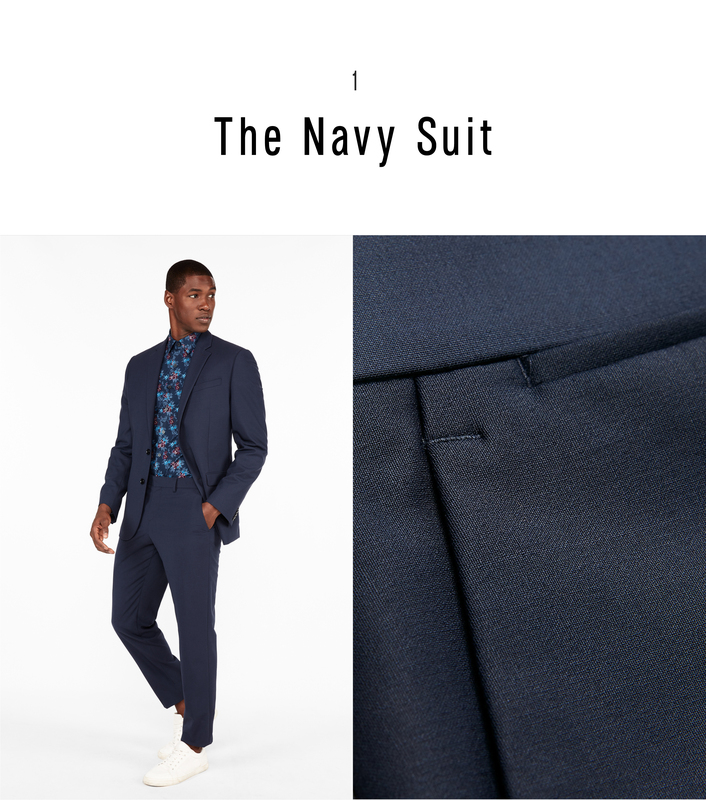 Tailoring neophytes start with navy. Veterans keep coming back to it. This flattering shade is, and will probably continue to be, the standard shade for men’s suiting, making it a no-brainer to keep at least one in your wardrobe rotation at all times. 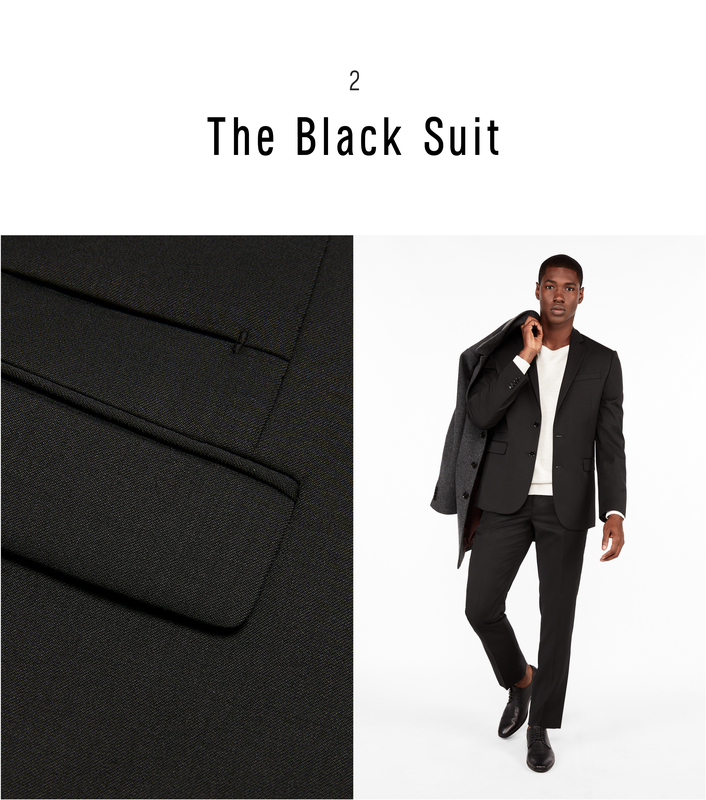 Never to be confused with a tuxedo, the black suit is a distinctly modern choice for its ability to transcend the office with just the right amount of formality. 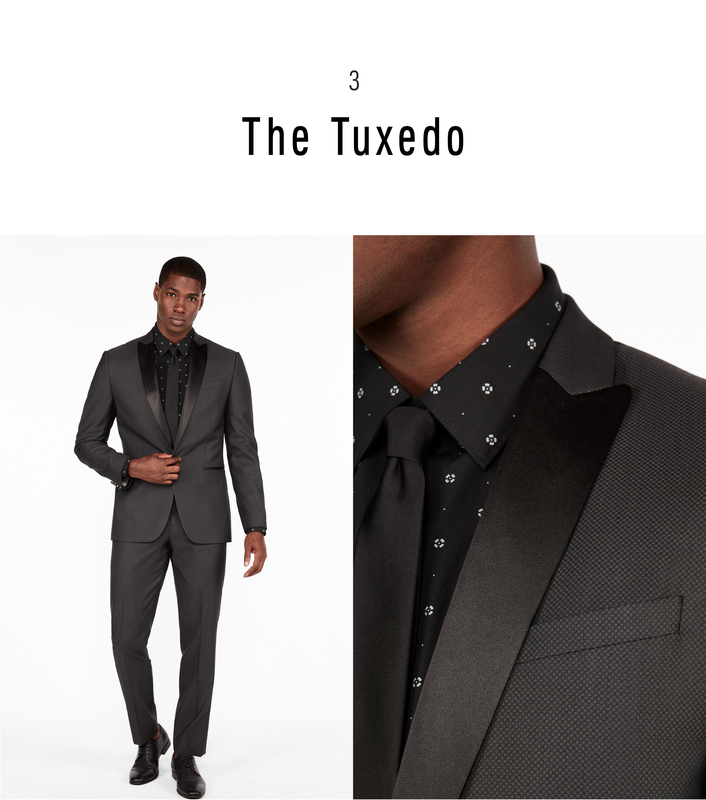 It’s appropriate for nightlife and feels a little edgy and a little classic Hollywood cool, but it can also get the job done in a high-stakes meeting. Where others might rent or fudge it—by wearing a standard black suit, say—the guy who owns a dapper tux takes fancy-dress invites in stride. The main difference is that the lapel (always in peak or shawl style) and trouser stripe are made of satin or grosgrain. Some men tread carefully around patterned suits, and rightly so. A broad-check plaid like this one is a way to stand out from the crowd without being obnoxiously flashy. Tone things down by choosing hues from the same color family—preferably gray or a dark navy. A godsend in summer, this all-weather fabric has a feel all its own. 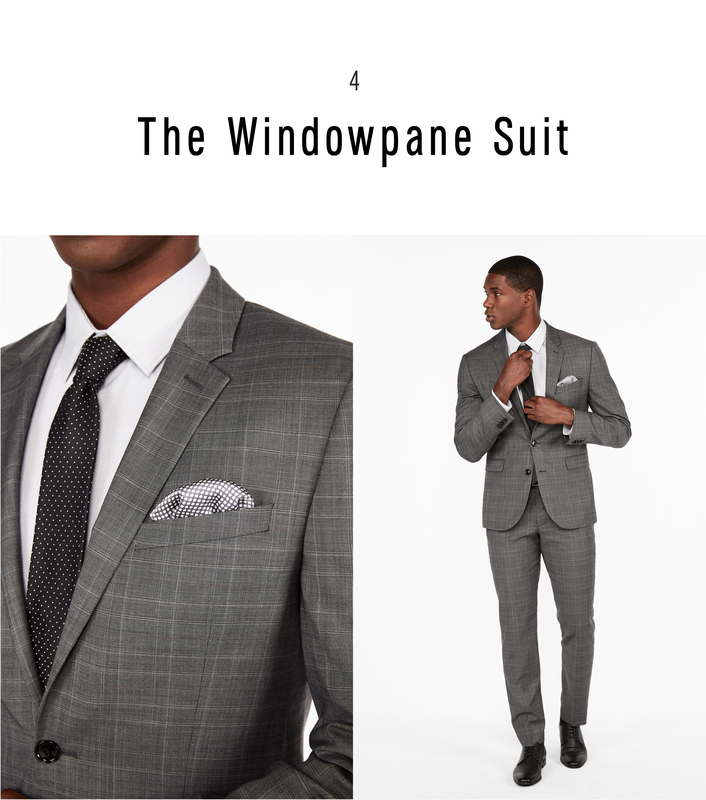 Traditional linen suits rumple easily and don’t always offer the most flattering silhouette. 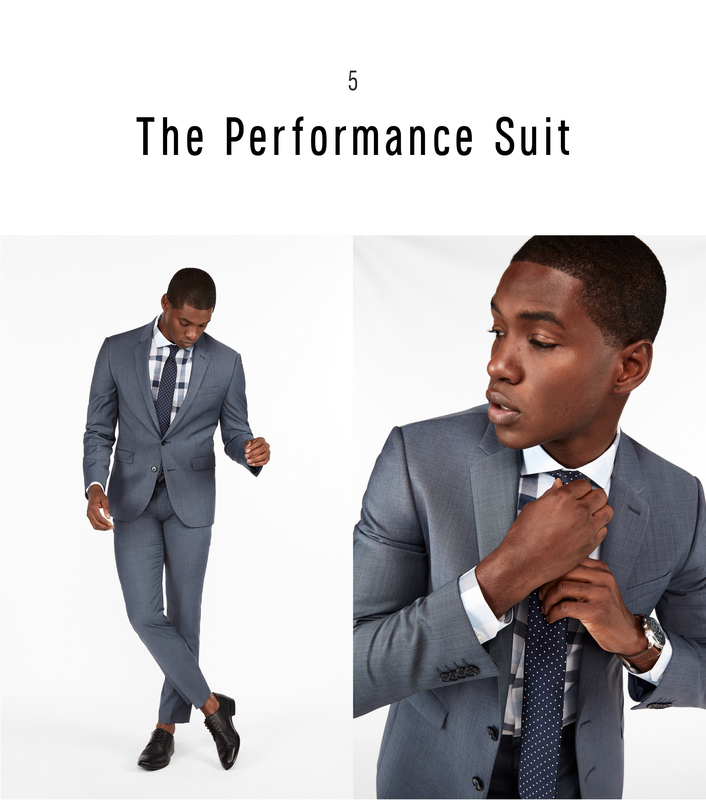 The embodiment of easy care, Performance suits can handle pretty much anything thrown their way, so you’ll be sure to cut a cool, composed figure in warm-weather settings.